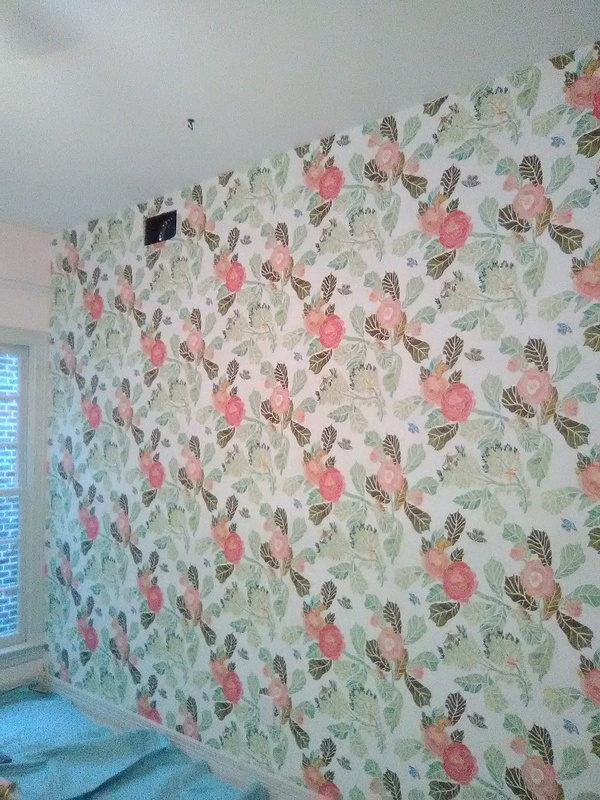 This little girl is about to have a new baby sibling, so she is moving out of the nursery and into her “big girl room.” This large, colorful floral pattern was printed as a 4-panel mural, rather than traditional wallpaper on a roll. 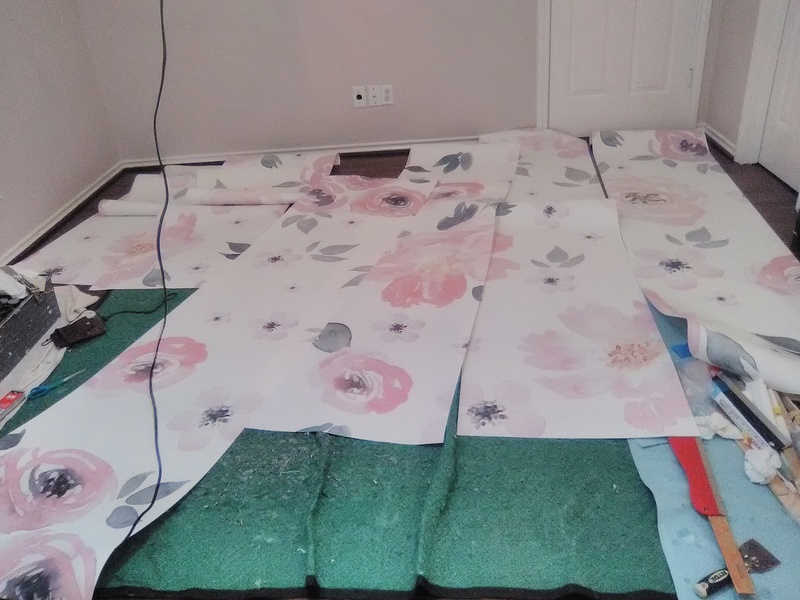 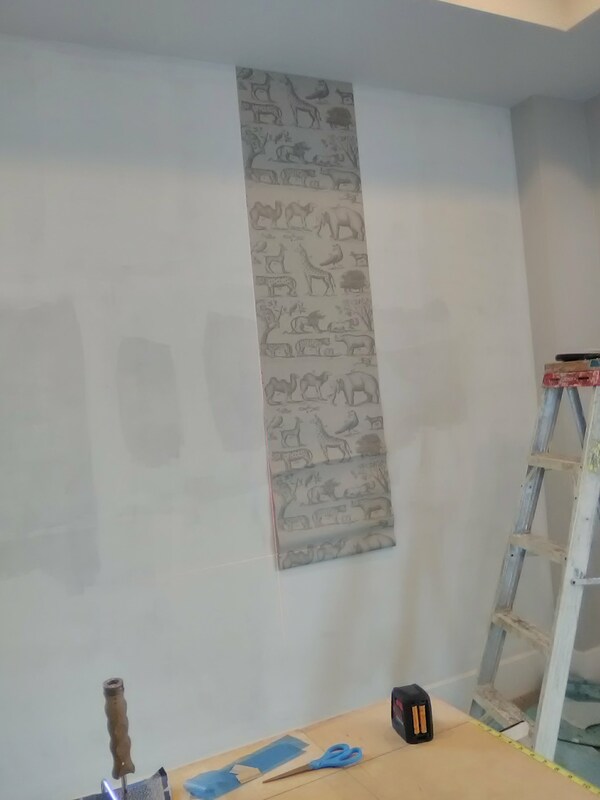 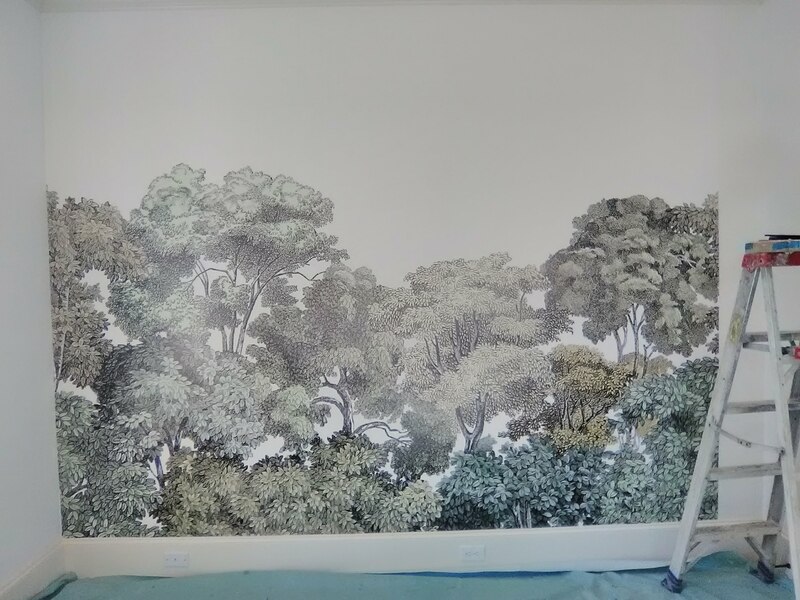 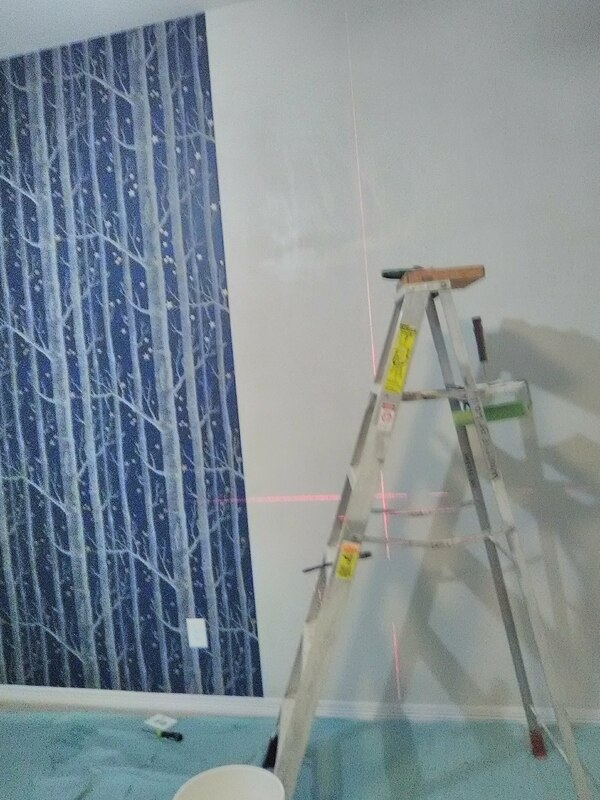 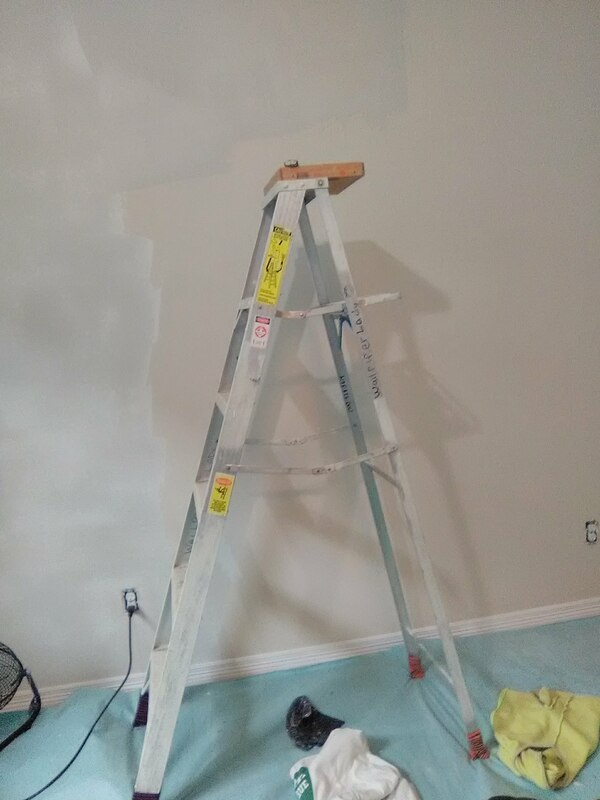 The 3rd photo shows one set rolled out on the floor, so I can check the panel placement, make sure the left side will match up to the right side of the next set, and determine how much to cut off of which end (the mural is 9′ high and the walls are 7 1/2′ high). 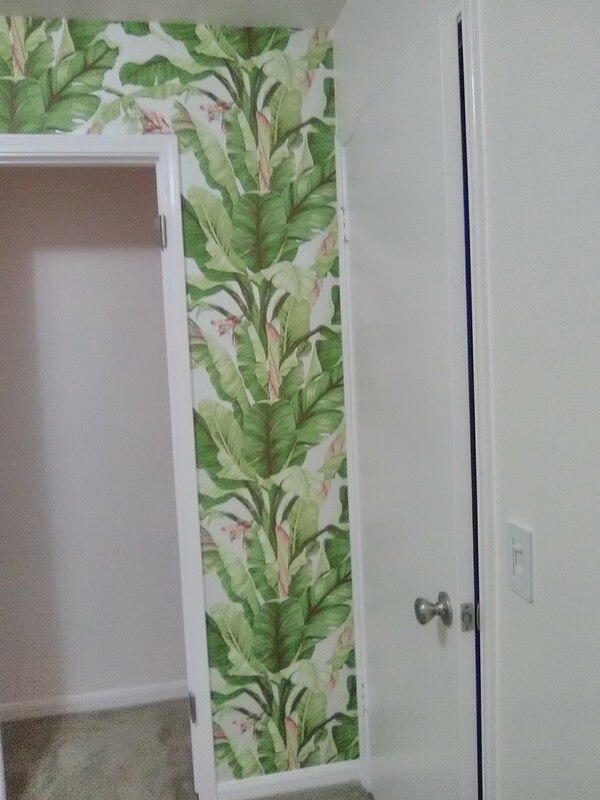 It took two sets to get from the right wall to the window, but then the mom had to buy a whole ‘nother set, just to do the part above and below the window, and a 5″ wide strip down the left side of the window. 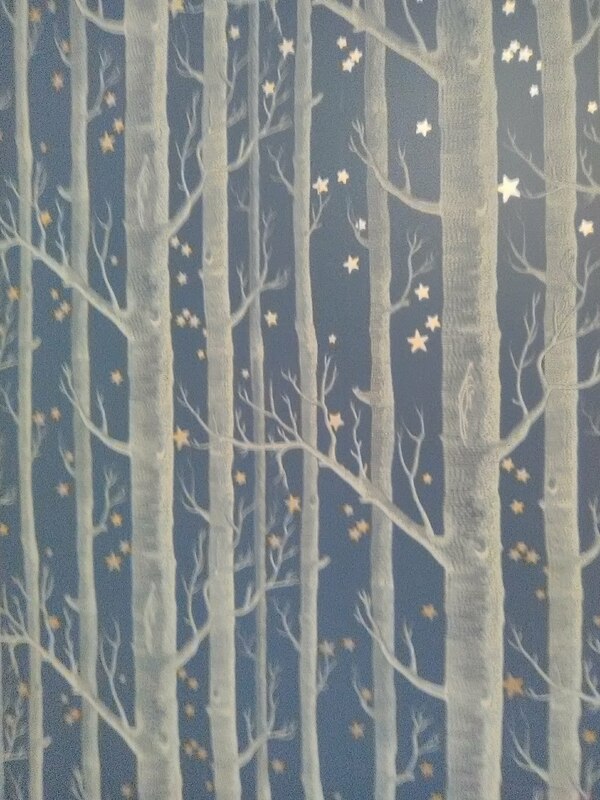 Here’s something different for a baby girl’s nursery. 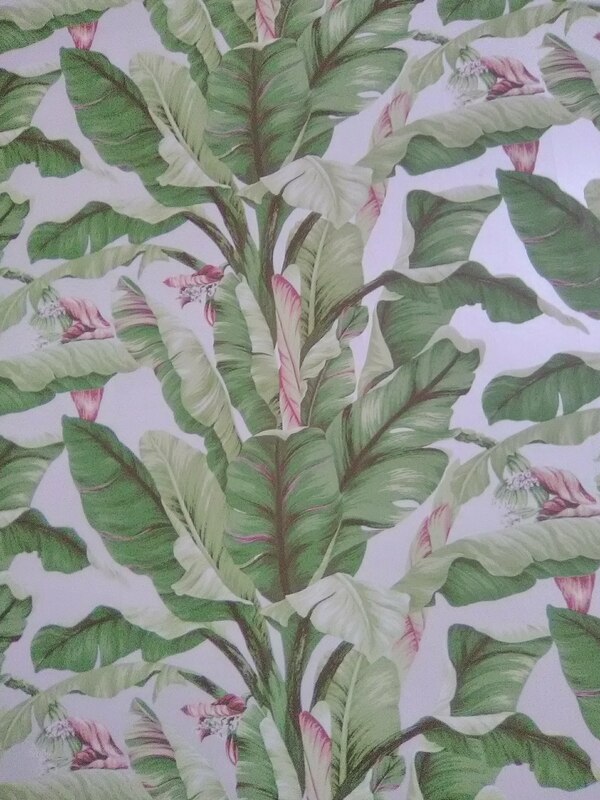 The mother wanted a “Beverly Hilton Hotel” look – this hotel features the iconic “Martinique” banana leaf wallpaper. 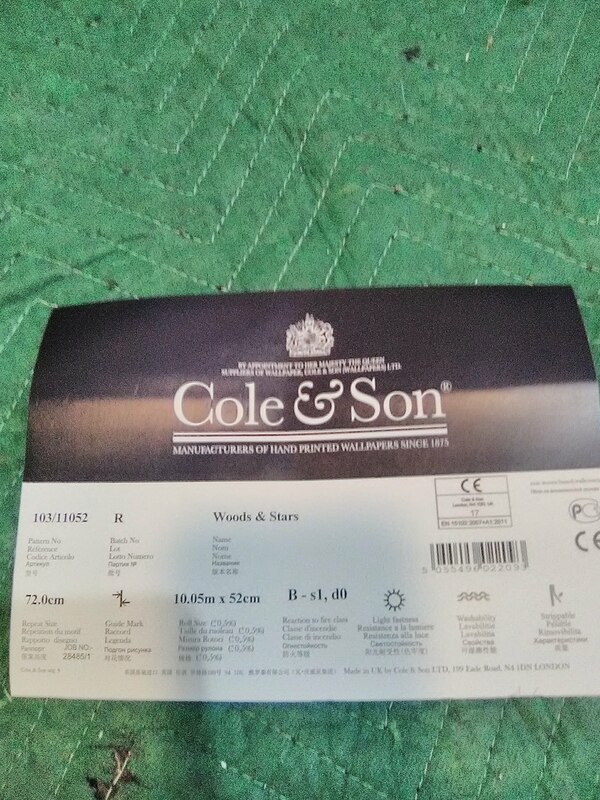 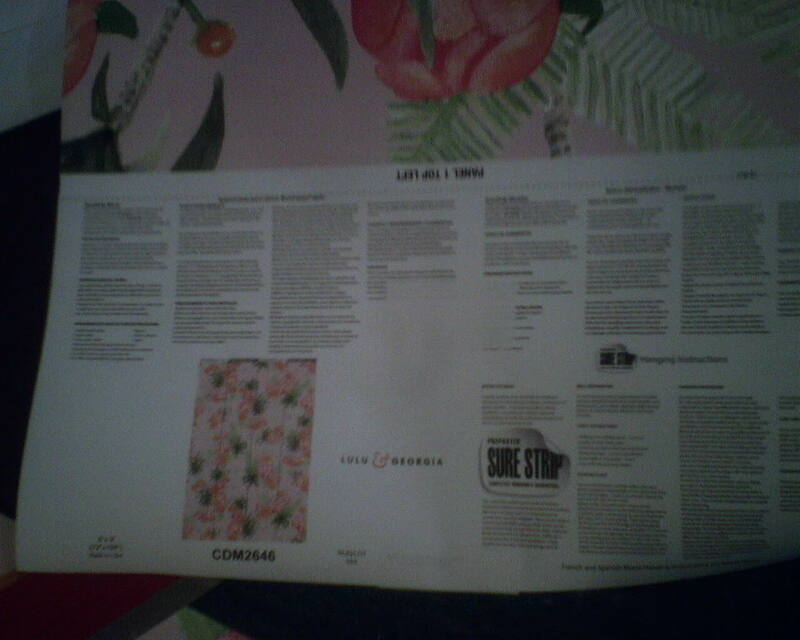 It is fabulous, but it’s quite expensive, and it’s difficult to install, too. 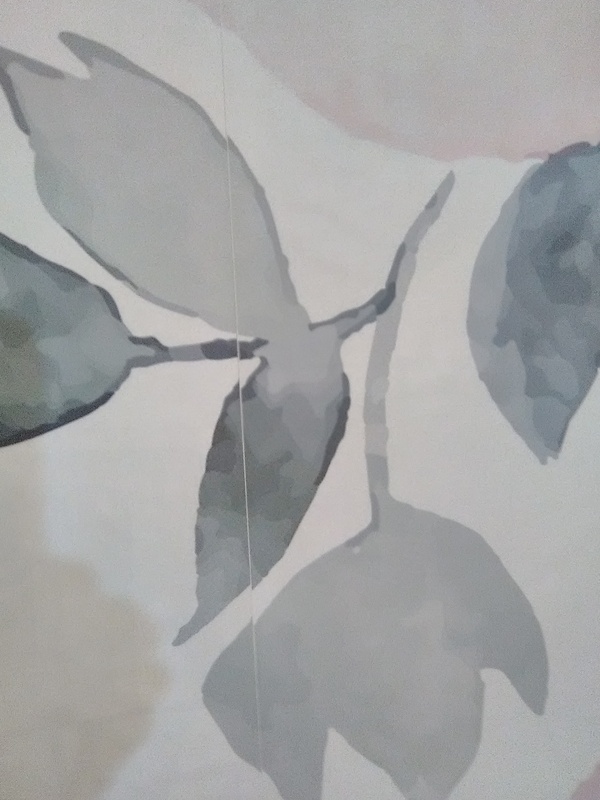 Do a search here to read my experience with it. 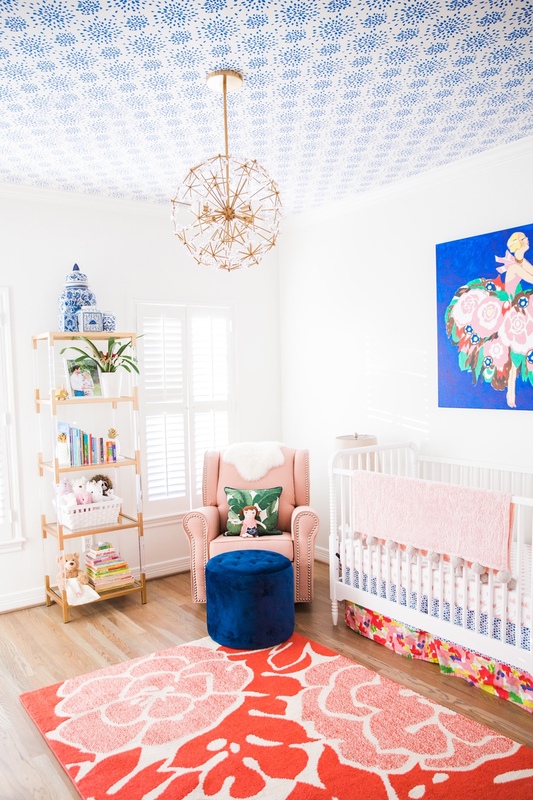 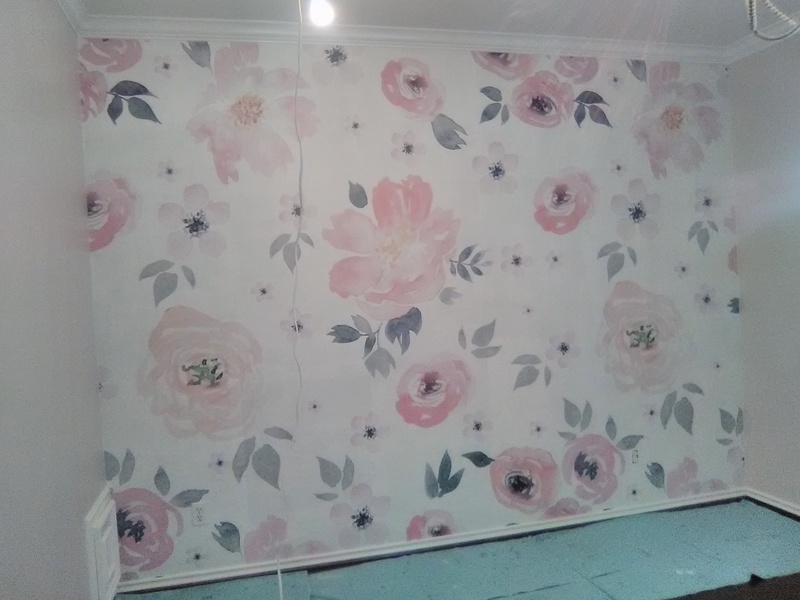 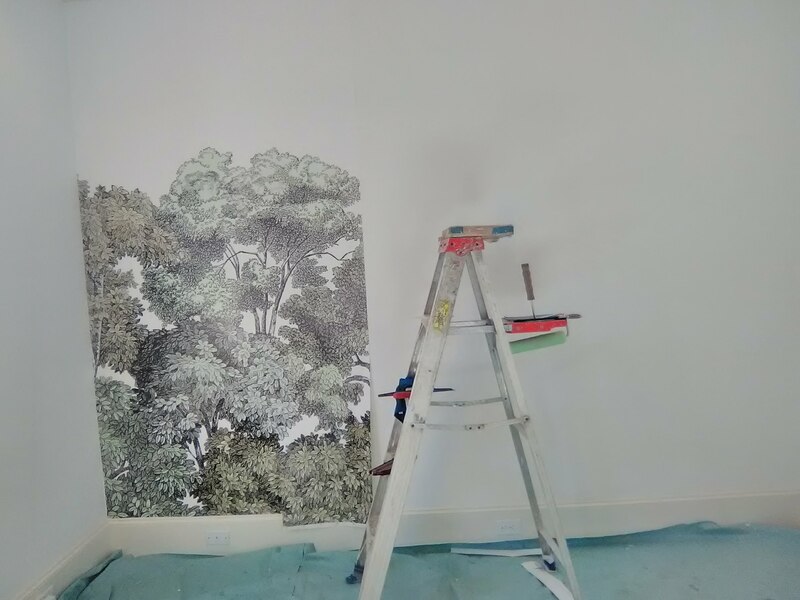 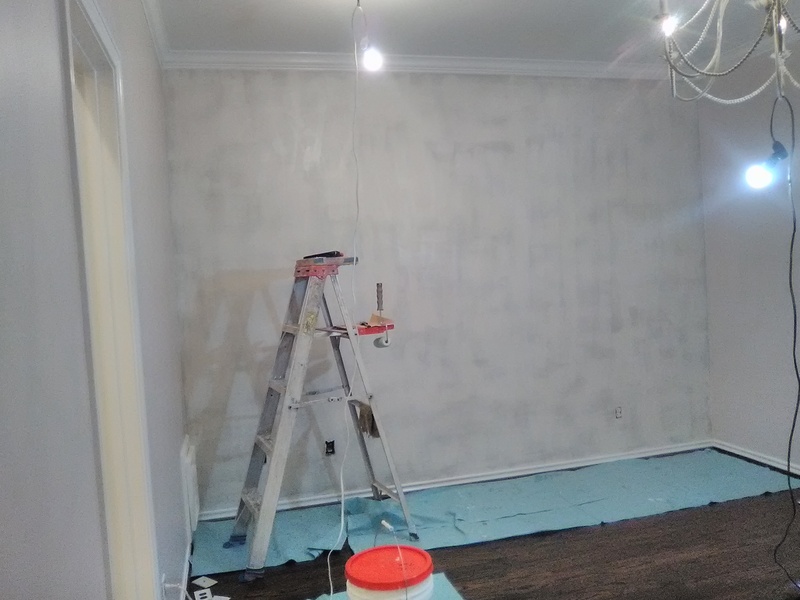 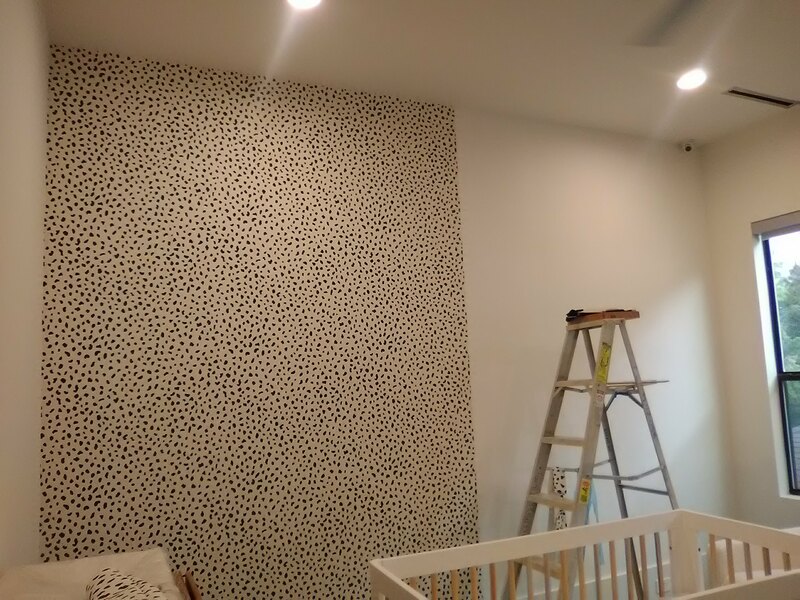 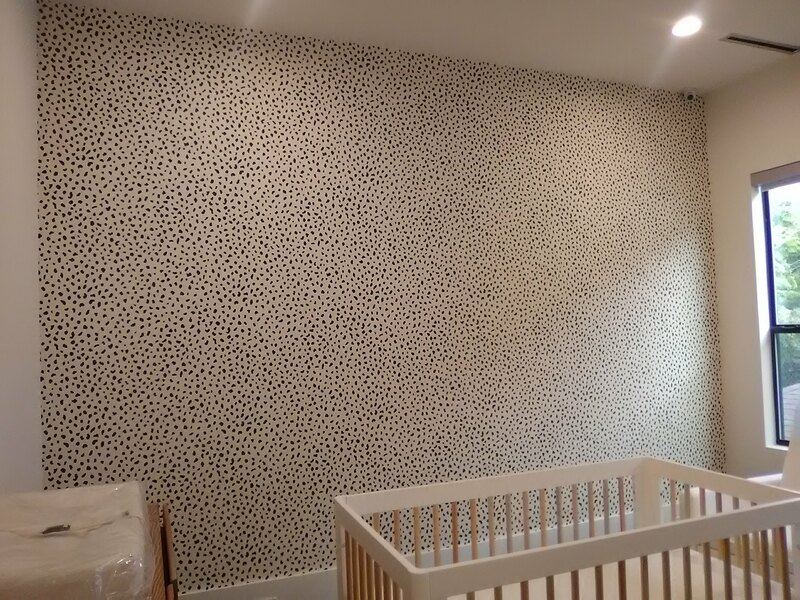 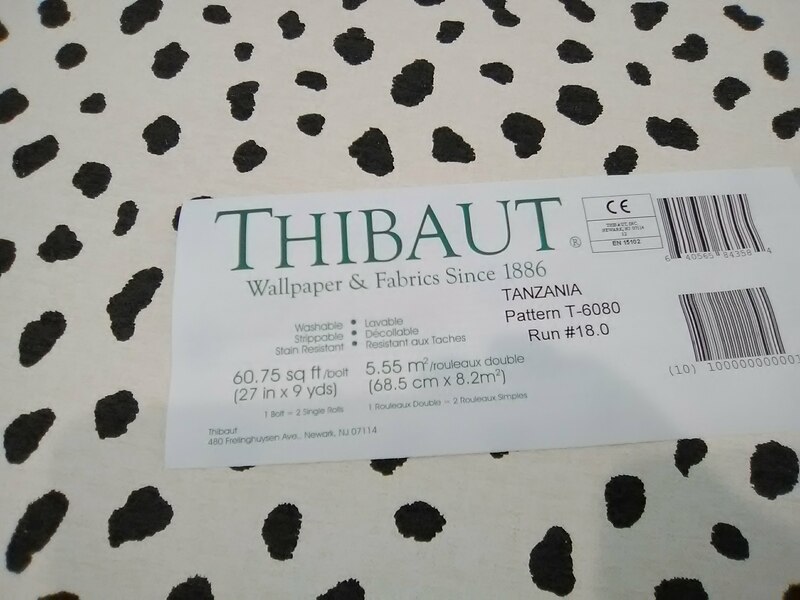 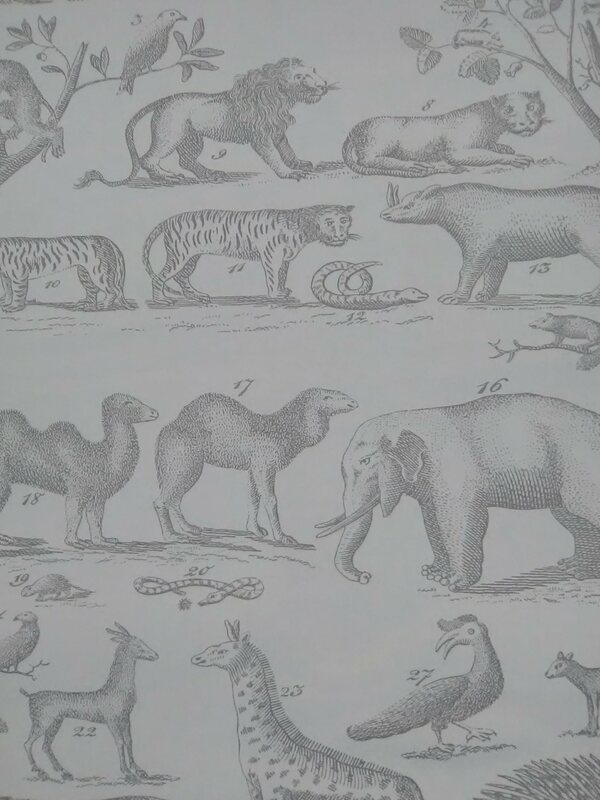 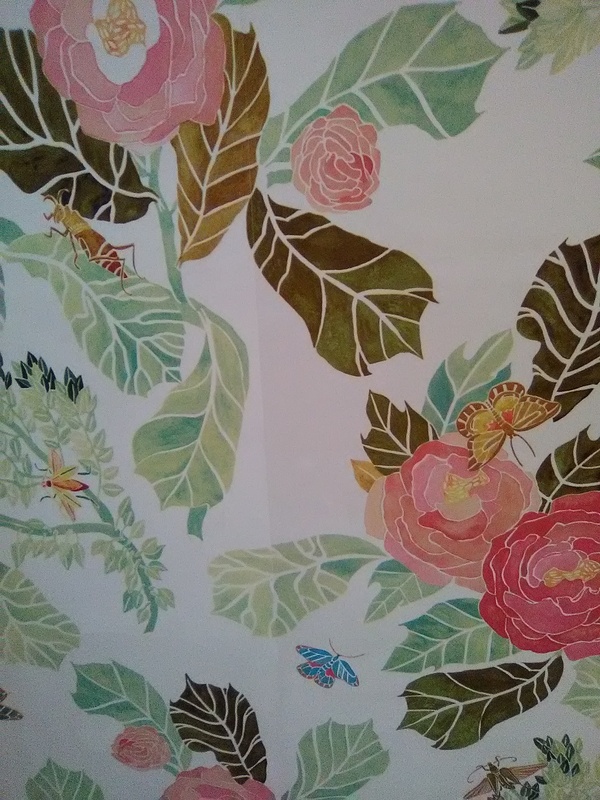 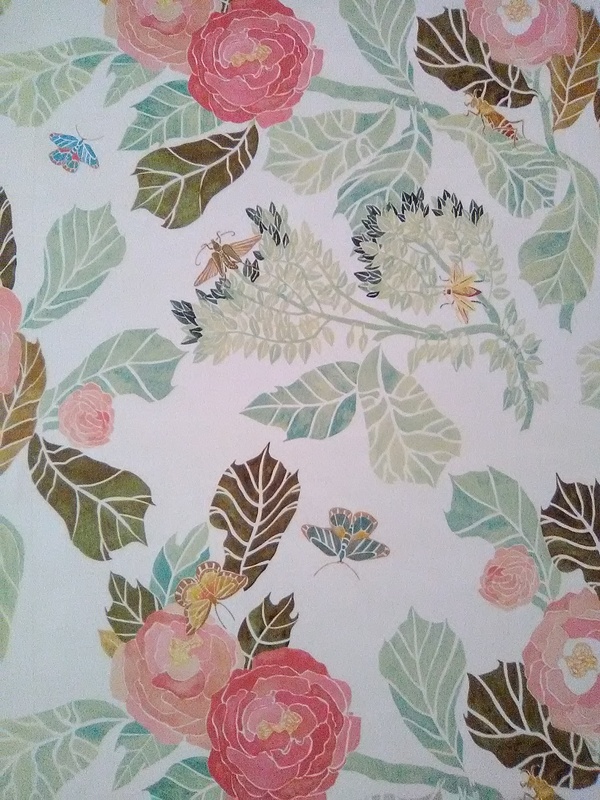 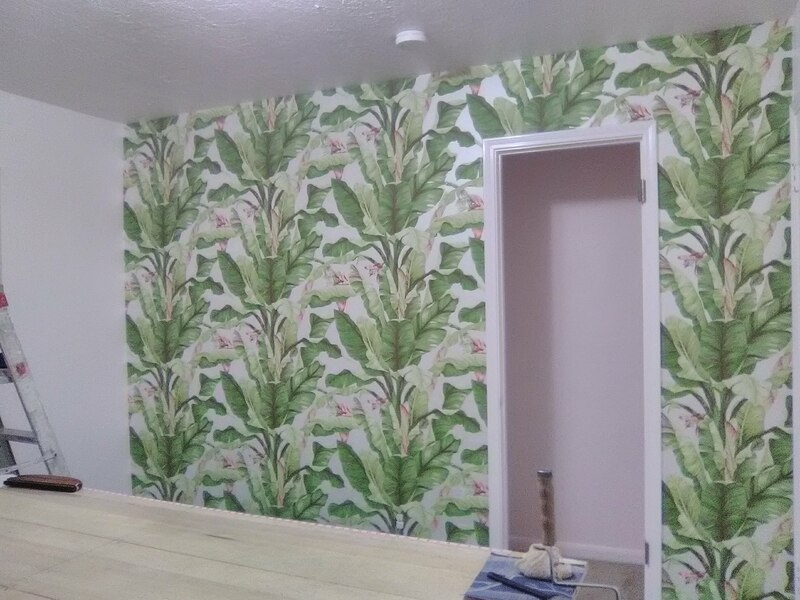 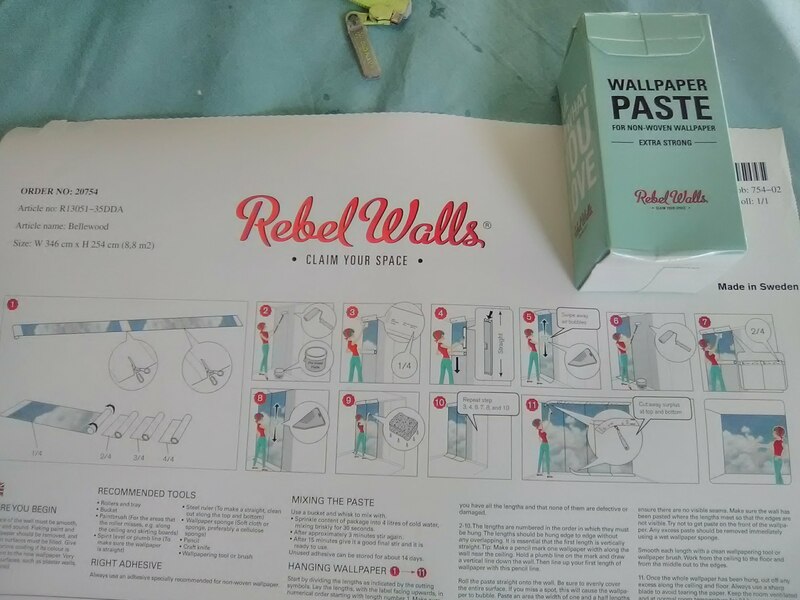 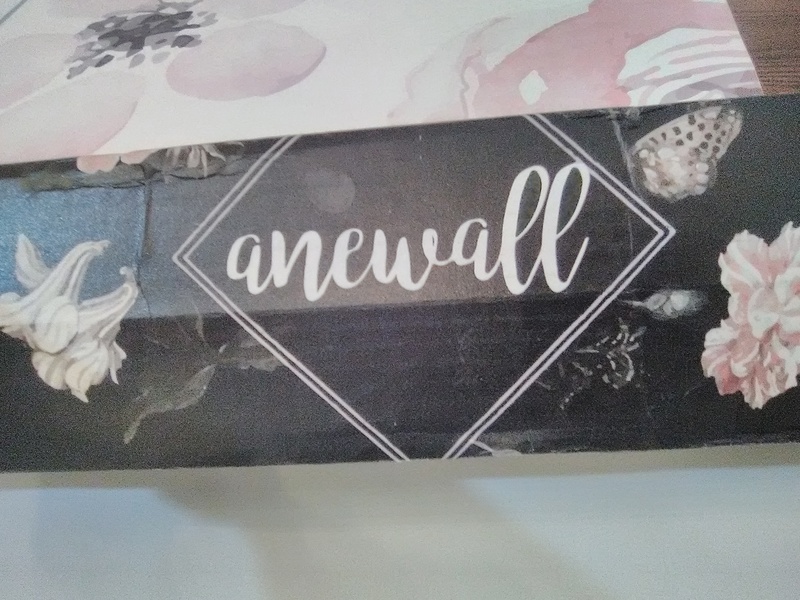 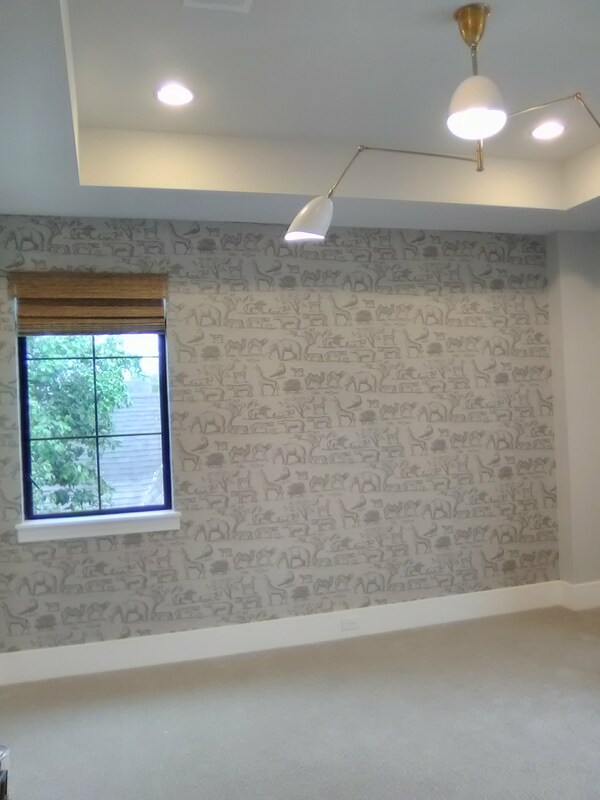 I was able to direct this mom-to-be to my favorite source for buying wallpaper (read below), and she helped her find something at a more reasonable price, that is better looking, too, and definitely is holding to the wall better. 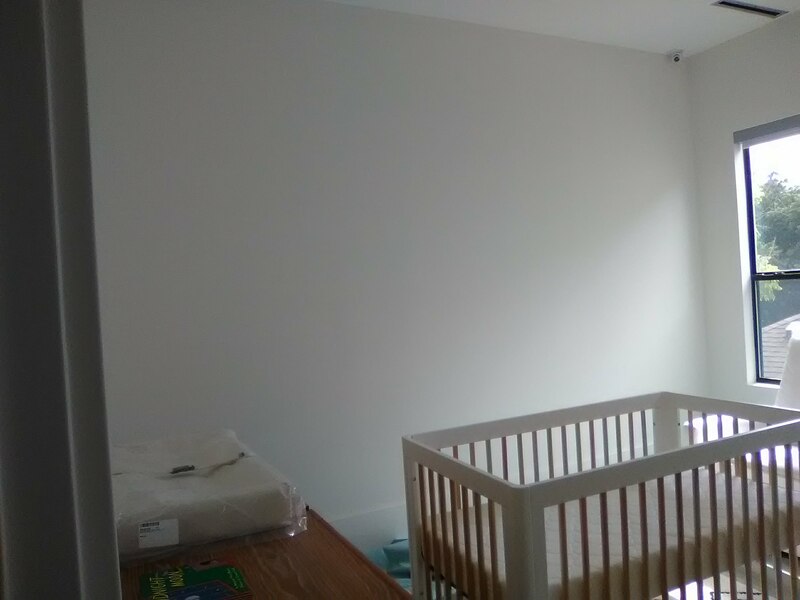 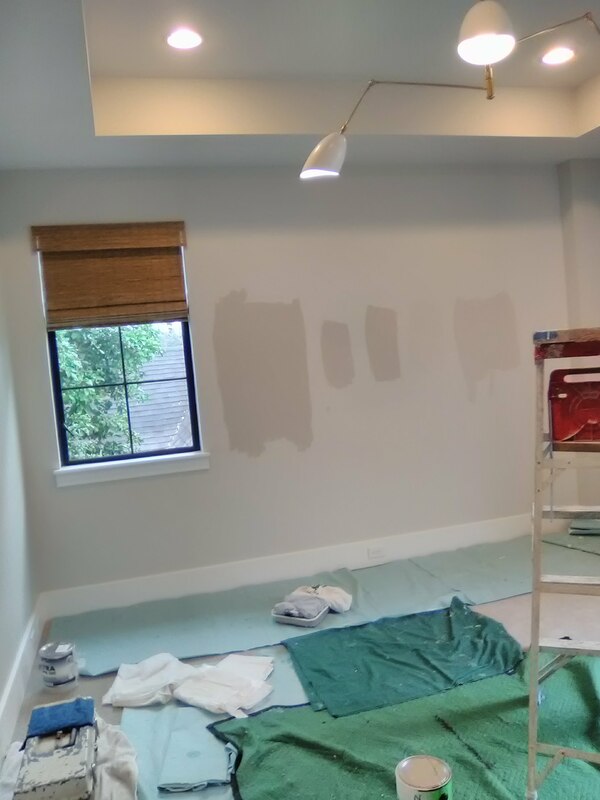 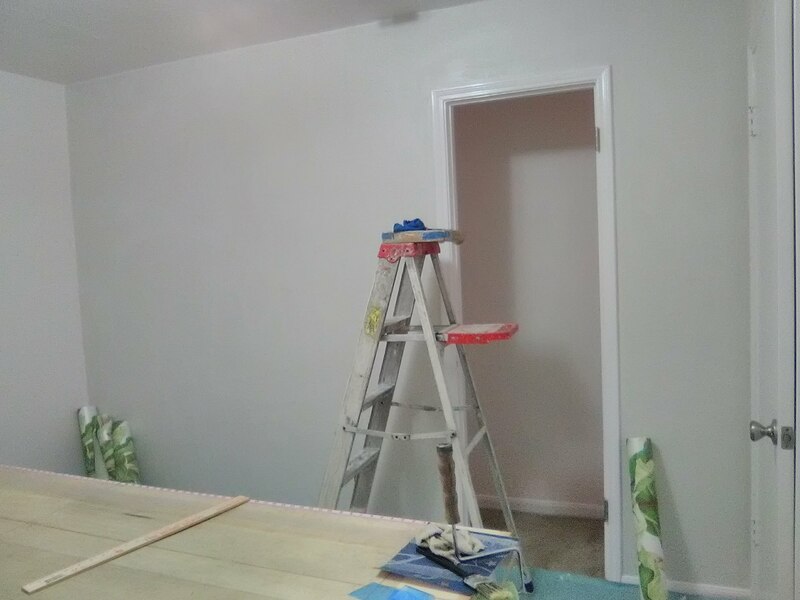 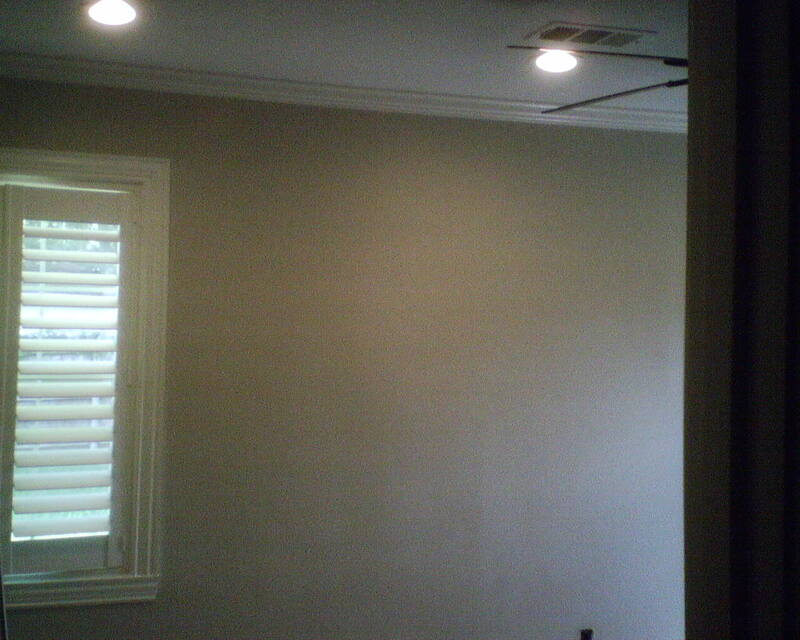 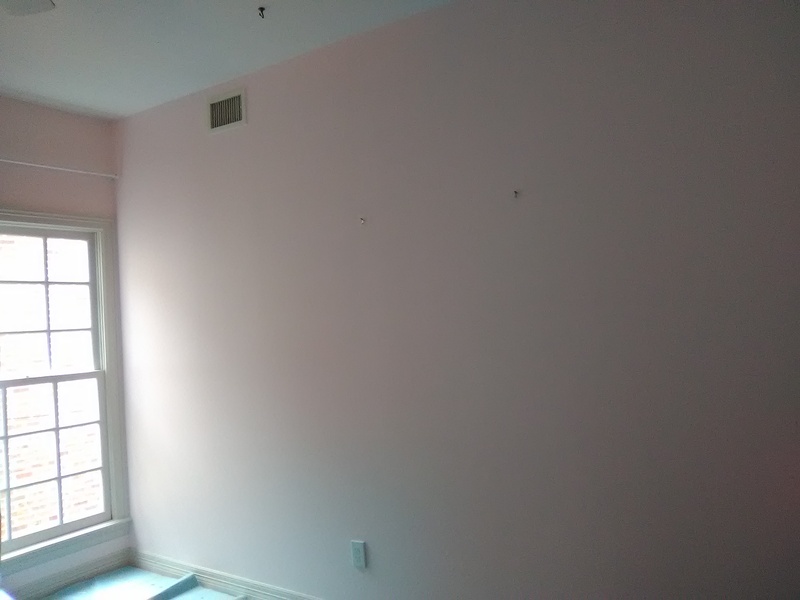 The rest of the room – walls, ceiling, woodwork, are painted a very pale pink. 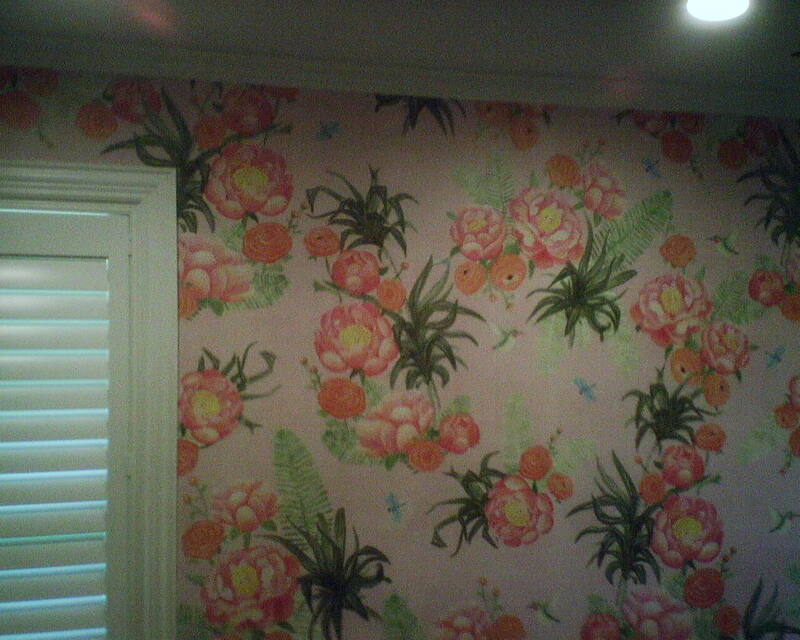 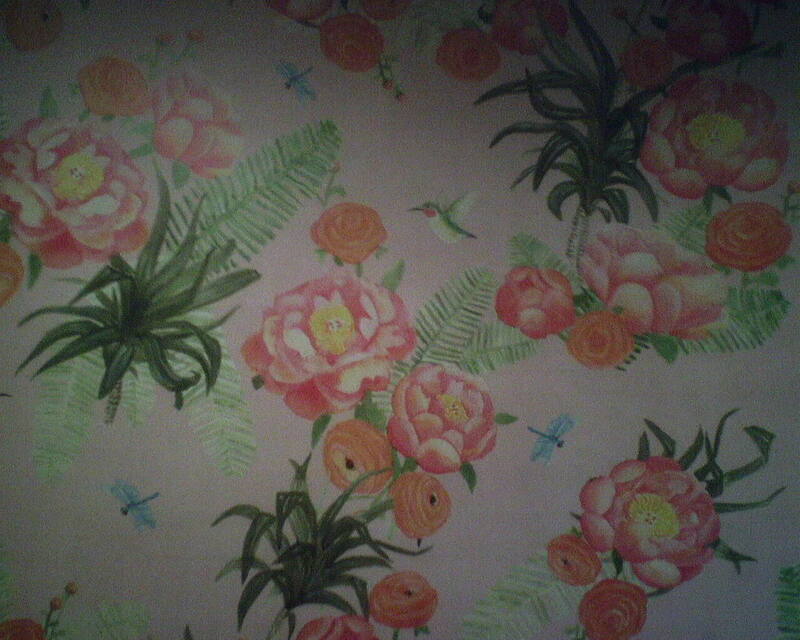 There’s just enough pink in the wallpaper to coordinate it with the rest of the room and pull everything together. 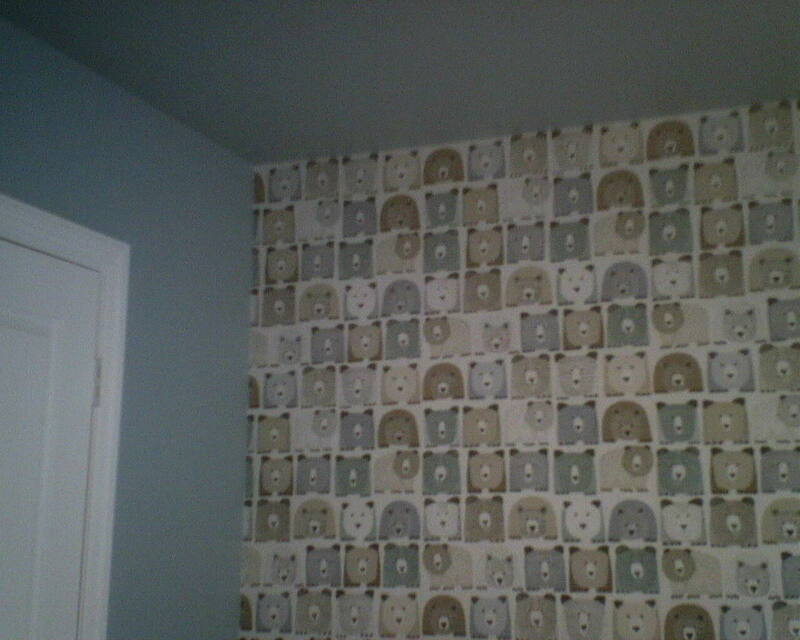 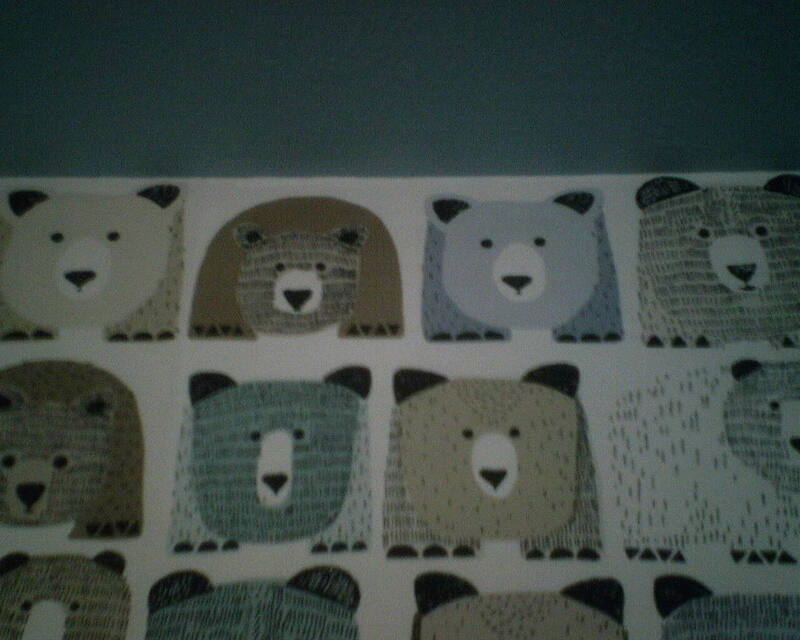 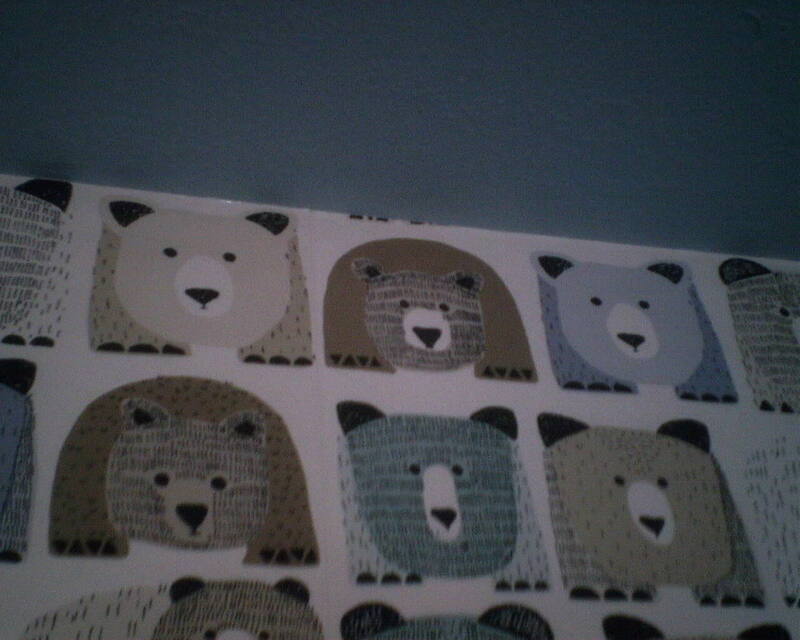 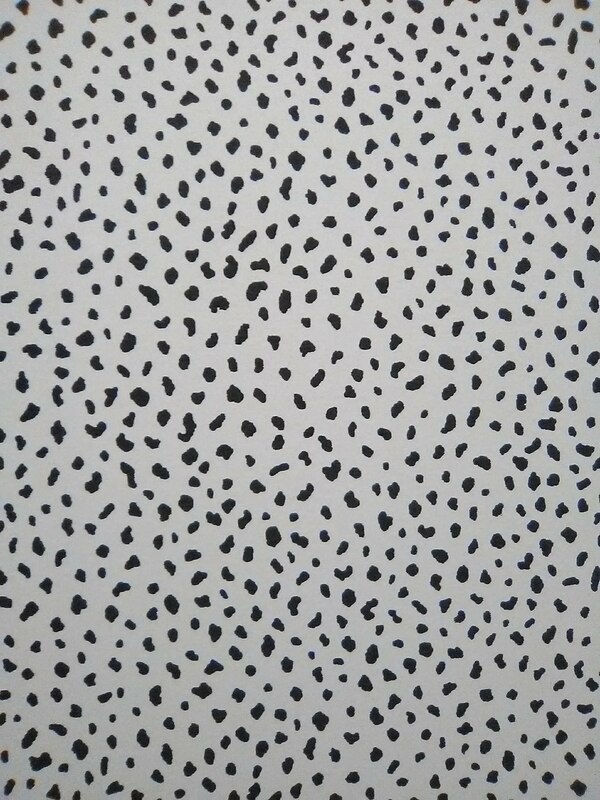 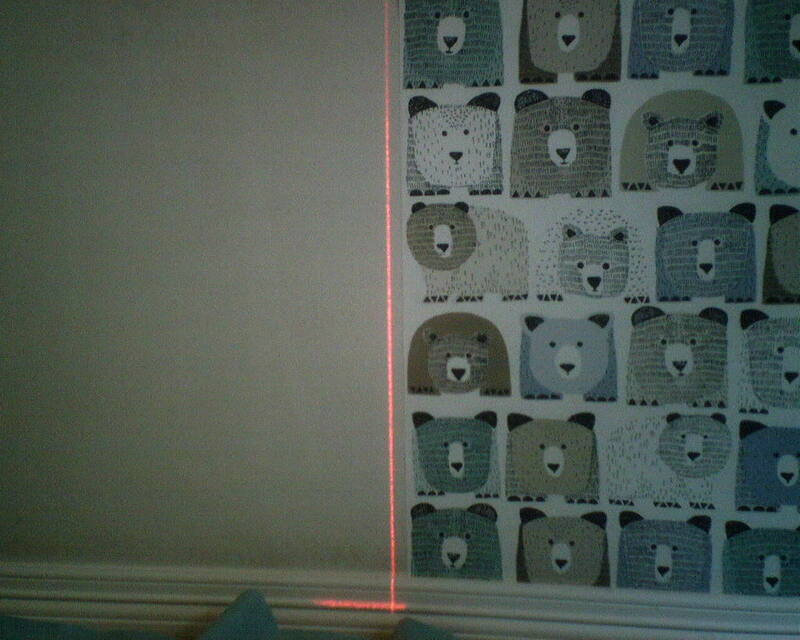 This went on one accent wall in a baby’s room in Clear Lake. 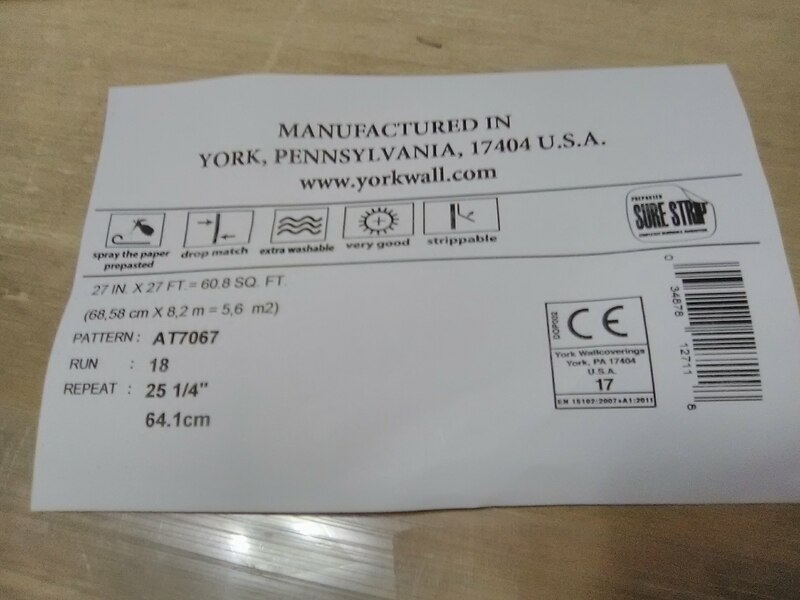 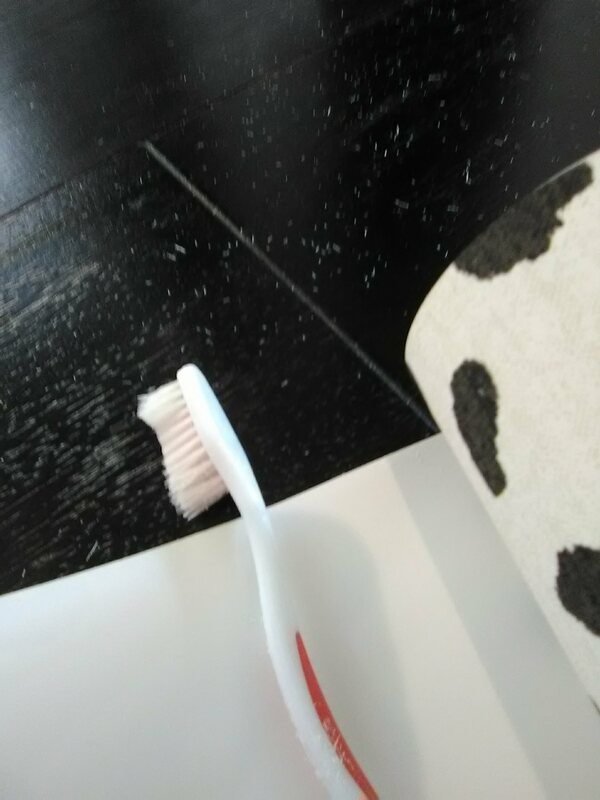 The paper is in the Sure Strip line by York, one of my favorite brands. 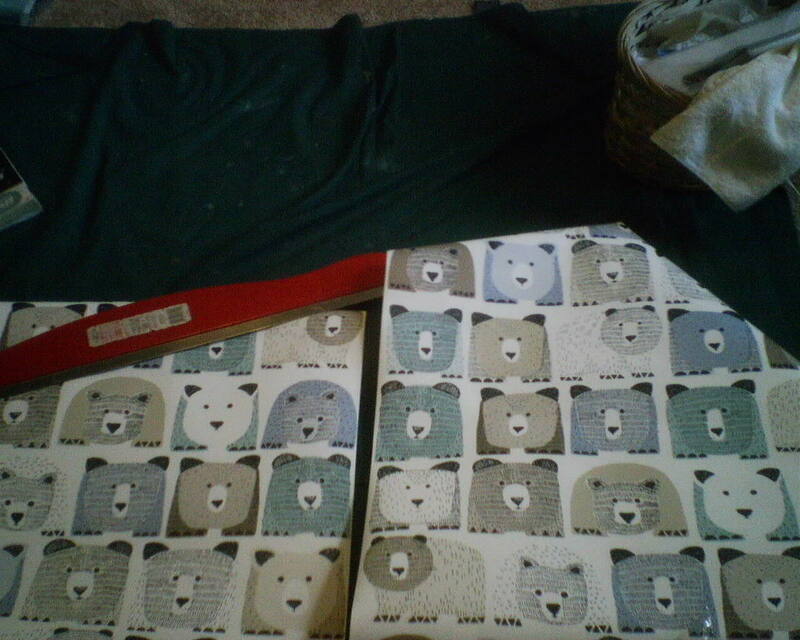 I did have a little trouble this time with seams wanting to curl back, but only where the dark ink crossed the seam. 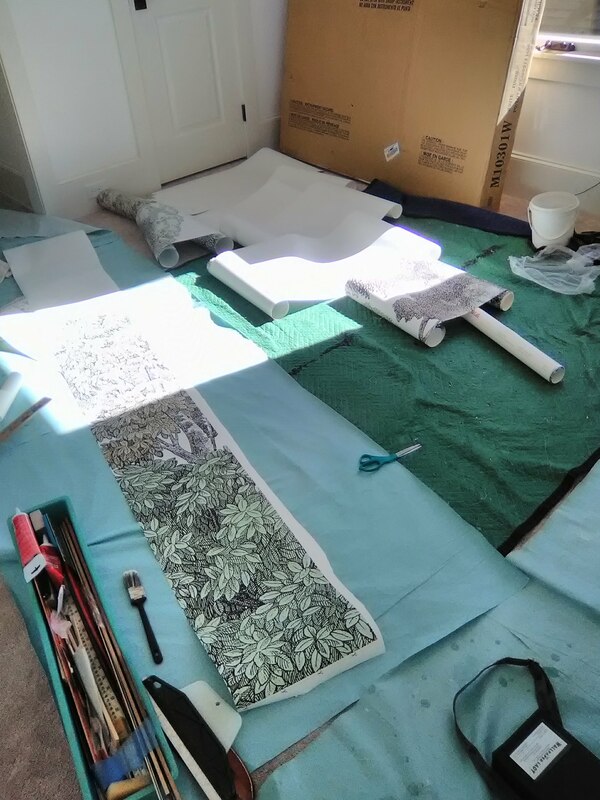 This tends to be because the inks absorb moisture from the paste differently from the paper substrate, and they fight each other. 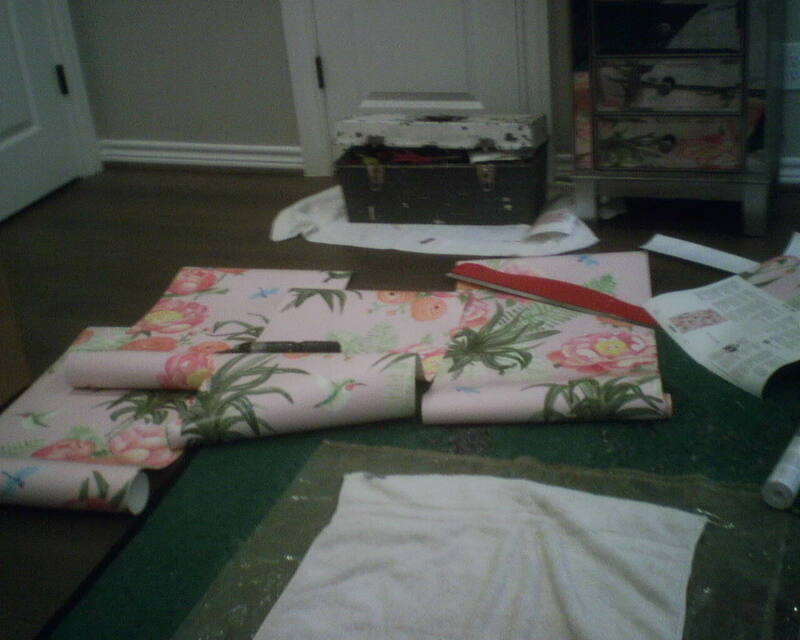 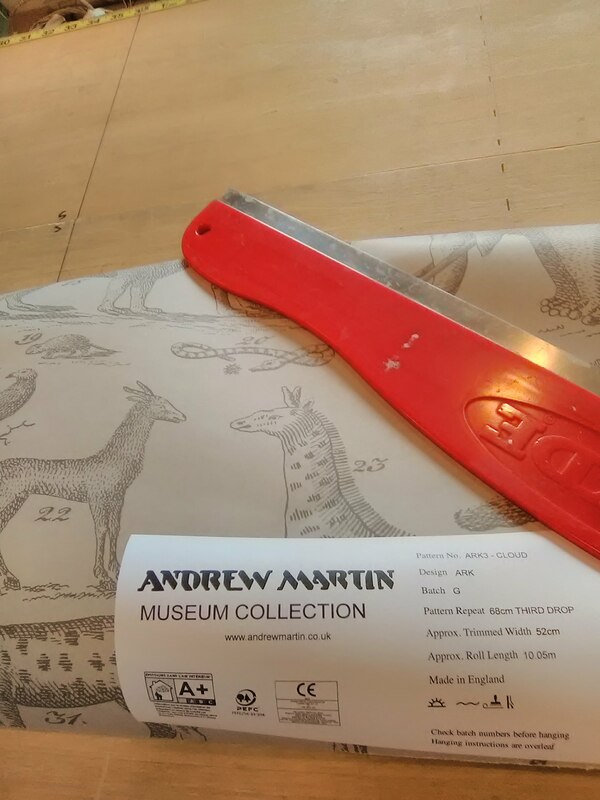 I stayed a little late to be sure the seams were setting securely as the paper dried.